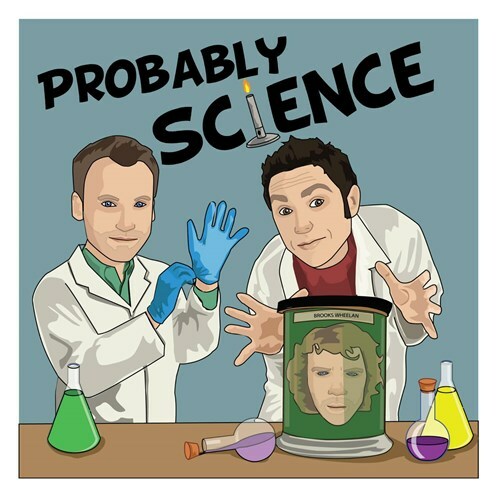 Probably Science is a popular science podcast hosted by comedians Matt Kirshen and Andy Wood who both have so-so STEM pedigrees (Matt holding a mathematics degree and Andy being a former electrical engineer). The show looks at the week in science news, with guests largely drawn from the world of comedy and entertainment (Patton Oswalt, Karen Gillan, Tim Minchin, Rhys Darby and Wil Anderson, amongst others), but often featuring special episodes with popular scientists, science writers and other experts, including astronaut Chris Hadfield, physicists Dr. Sean Carroll and Dr. Janna Levin, author Mary Roach, renowned astrophysicist Neil deGrasse Tyson and some of the minds behind the Nobel Prize-winning LIGO project that detected gravitational waves for the first time. The HEYA main bar is open for food and drinks from 4.30pm. Children aged 15 and above are allowed to attend but must be accompanied by a parent or guardian, present for a wristband on arrival and depart the venue by 10pm.